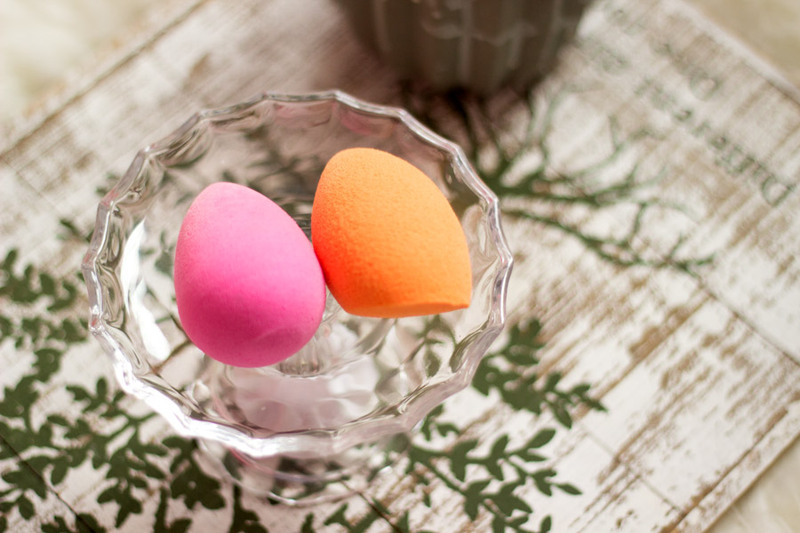 I planned a review for the Original Beauty Blender which I received in a Birch Box (review here) a little while ago but the pictures I took just looked so terrible. 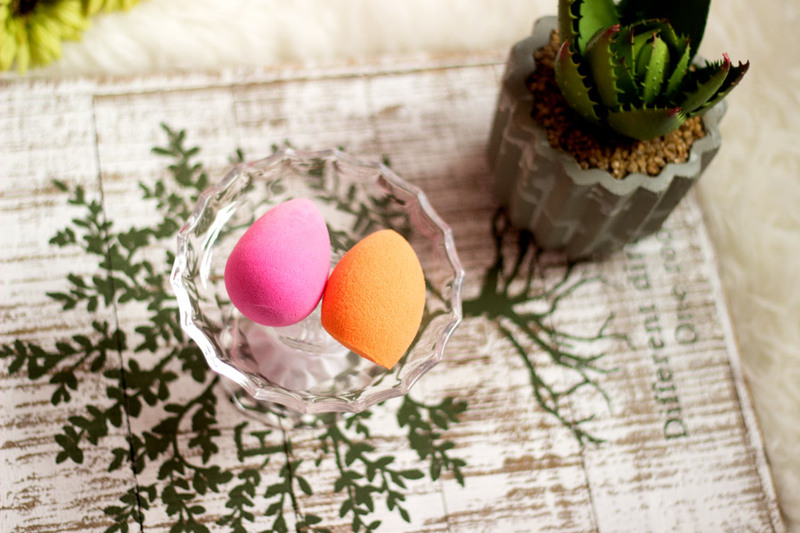 When I received the Real Techniques Miracle Sponge, I thought a comparison post will be much better instead of separate reviews. 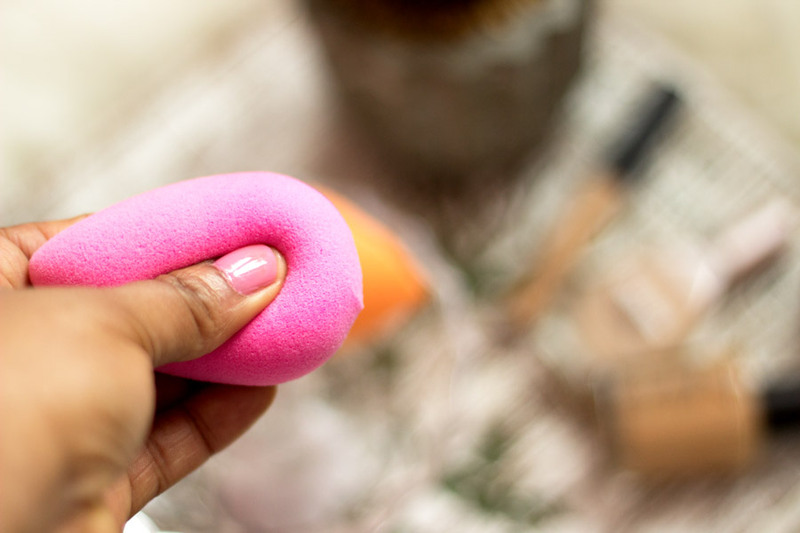 I am pretty sure you may have already heard about Beauty Blenders/Spongers so I will skip any lengthy descriptions. 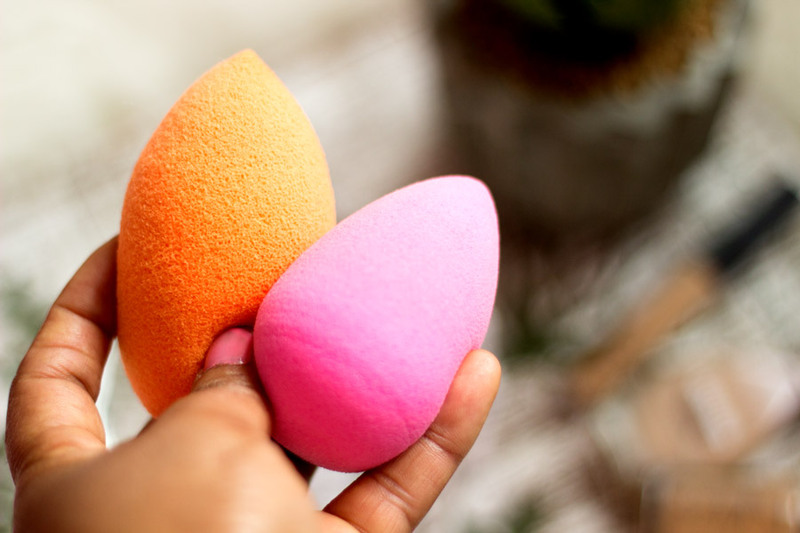 Beauty Blenders/Sponges have been around for a really long time but I think the elliptical/dome shaped ones are a bit newer than the traditional wedge style sponges. These elliptical ones last longer and cover a wider area of the face compared to the wedge ones. Also, you don’t have to discard them like you would with the wedge ones. 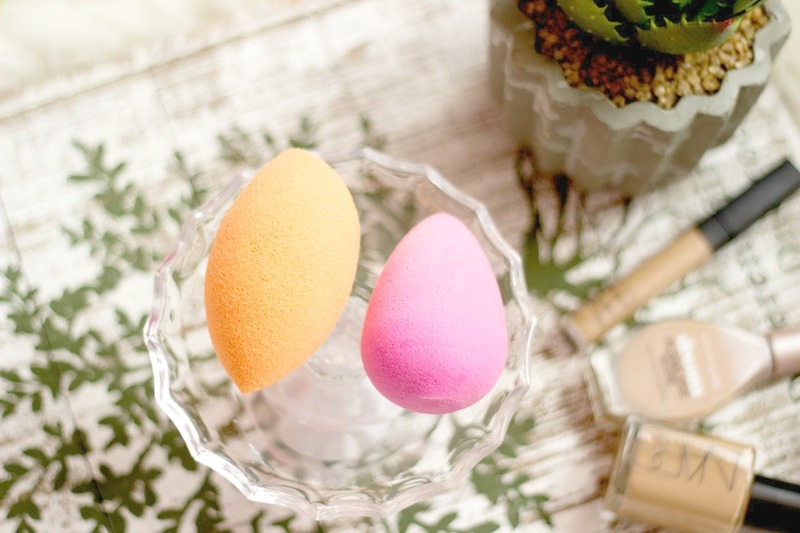 They can be used with virtually any face makeup products including foundation, concealer, contours, highlights, blushes, etc. They are very good for blending and usually deliver the best flawless results I have ever achieved. 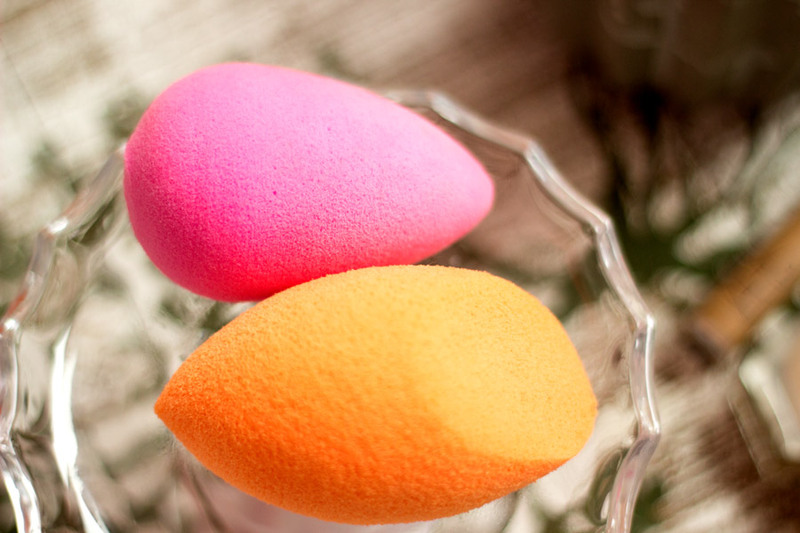 This is why it is the weapon of choice for many makeup artists. I was very delighted to receive this in a Birch Box last year with its accompanying cleanser as I had heard a lot of good things about it. It is elliptical/dome shaped with a unique pointed tip which enables it reach difficult/hard to reach areas. It can be used wet/damp or dry but I prefer to use it damp as I find it to be more effective that way. 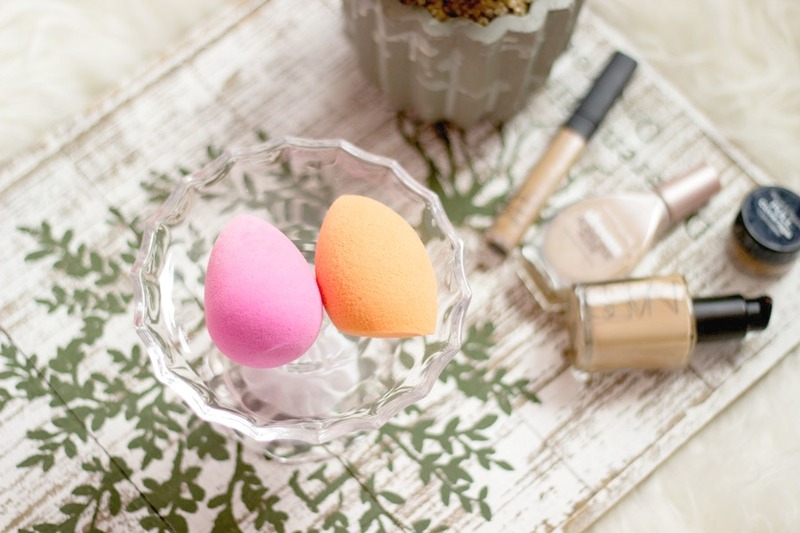 I mainly use it to blend in my foundation and concealer and it seriously does an amazing job. It does take some time to master the technique and I don’t use it during weekdays because I find it a little time consuming. I am sure makeup experts can get a quick turn around with this but for me, it’s a learning process. It retails for about £16 which I think is really pricey but worth every penny. Thankfully, I didn’t have to pay full price (or any amount per say) as it was included in Birch Box which was £10 for all the samples in the box. It comes in other colours but I believe the pink, white and black ones are the most popular ones. 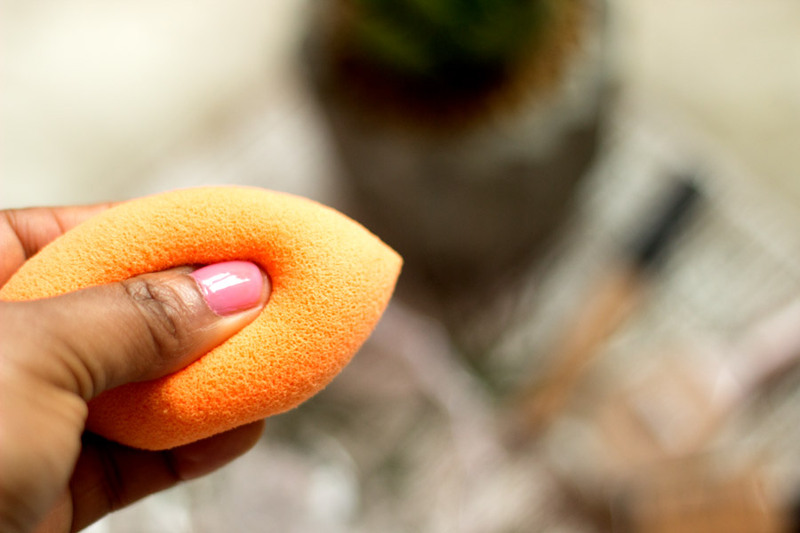 I had seen the Real Techniques Miracle Sponge a few times in store and I uhhhmed and ahhhed over it until I received it along with other brushes from Real Techniques. 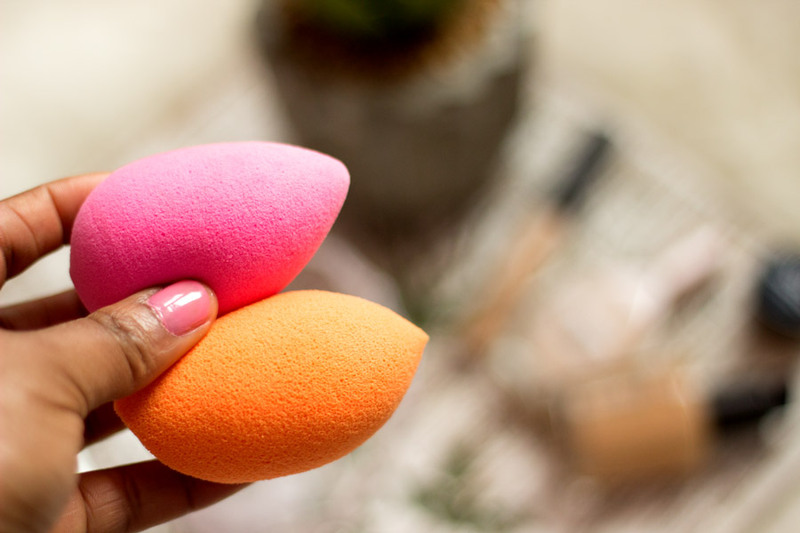 I was really delighted because I knew I could compare both sponges and I had read a ton of good reviews about it. 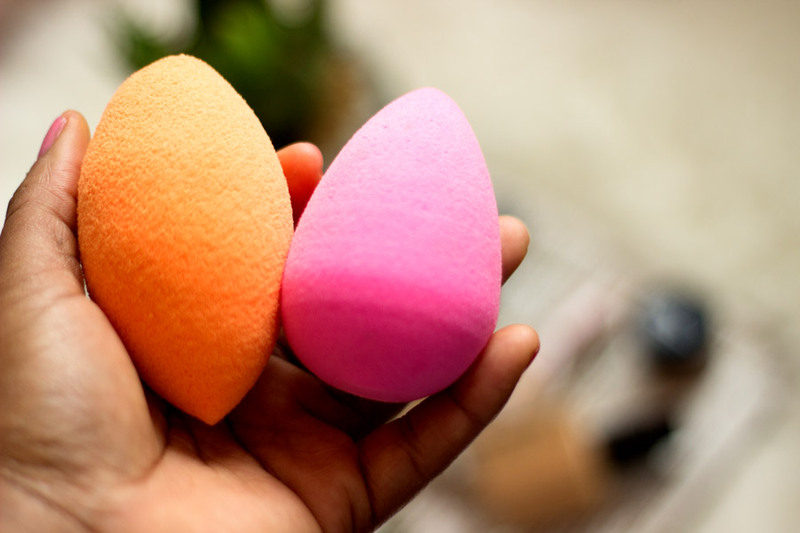 It also comes in a similar elliptical/dome shape as the Original Beauty Blender but it has a flat slanted surface on one side. This difference in shape is really useful as it can reach some difficult areas like around the nose. 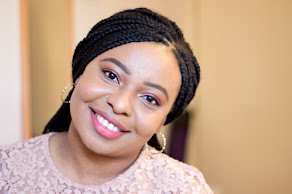 It also means you can use it with a setting powder which I quite enjoy as it prevents any fall out. 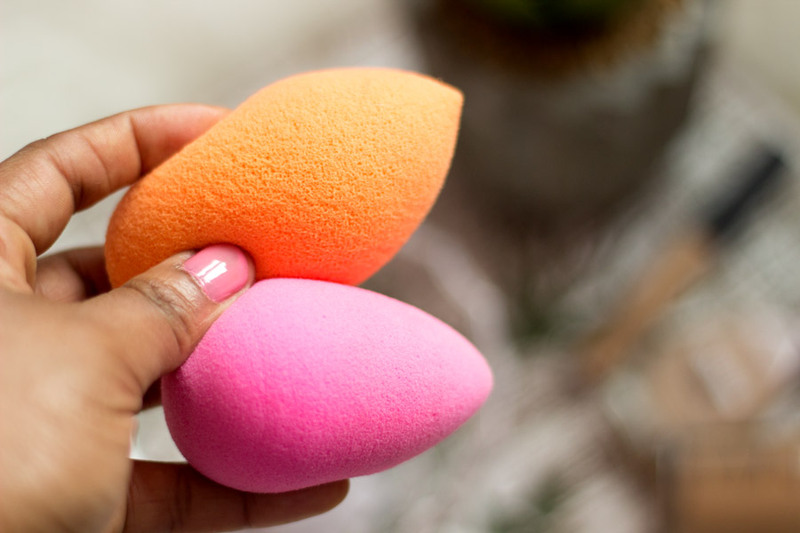 It retails for £5.99 which is significantly cheaper (by £10) than the Original Beauty Blender. The packaging is pretty but it is not very practical for storing it when it is washed or when drying. It comes in a bright orange colour and it’s just the one colour and size. When it is dry, it feels very bouncy and firm. When it is wet, it is much softer but it is still quite bouncy and firm. 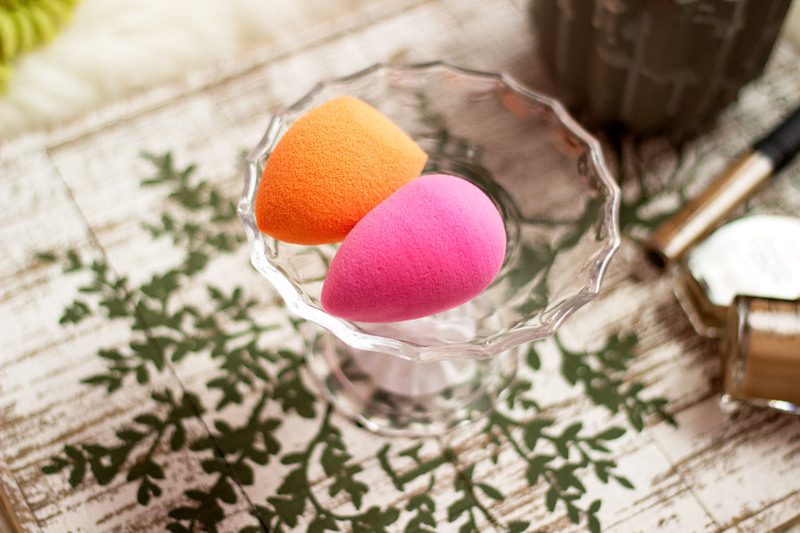 It is relatively softer than the beauty blender when dry and wet. However, it is less bouncy and firm. 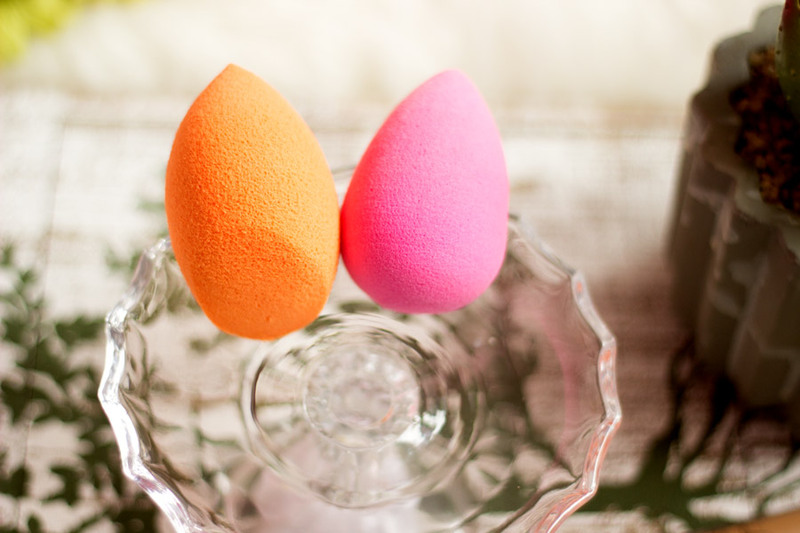 It is slightly larger than the Beauty Blender when wet and dry and I think it is more noticeable when it is wet. Due to its bouncier and firm texture, I find that it absorbs products less than the RT. 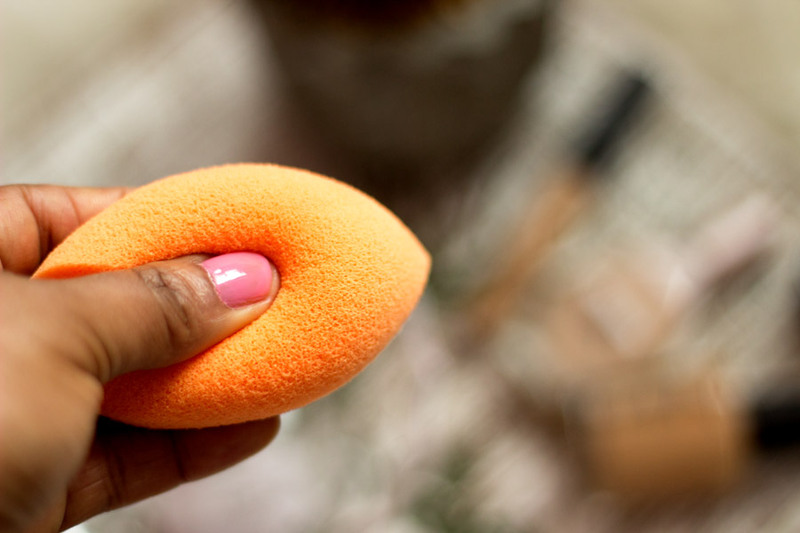 I actually prefer that it does this because I don't want my products wasted..
Due its softer texture, I find that it absorbs more product especially foundations than the Beauty Blender when damp. I think this may also be down to the large pores it has and it leads to waste and your foundation may have less coverage than you intended. It truly provides a flawless finish and the results look very natural. It also produces really good results depending on what look you are after. 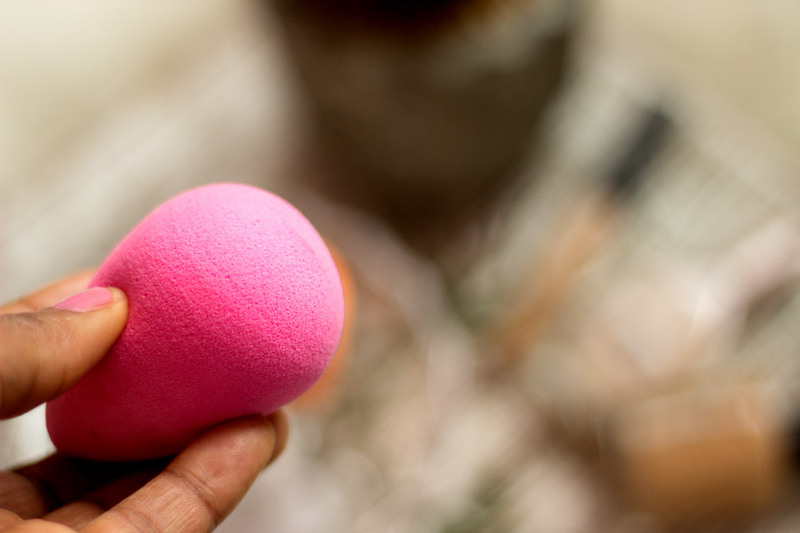 I find the Beauty Blender slightly difficult to wash and it honestly does my head in. When I had the cleanser it came with, things went smoothly but when it ran out, it was really difficult to get it clean. One time I was so careless in washing it that I made small rips in it...;-((. However, it dries really fast and does not hold onto water. The RT Miracle Sponge is much easier to wash in my opinion and it does not really need any special soap to get it clean. 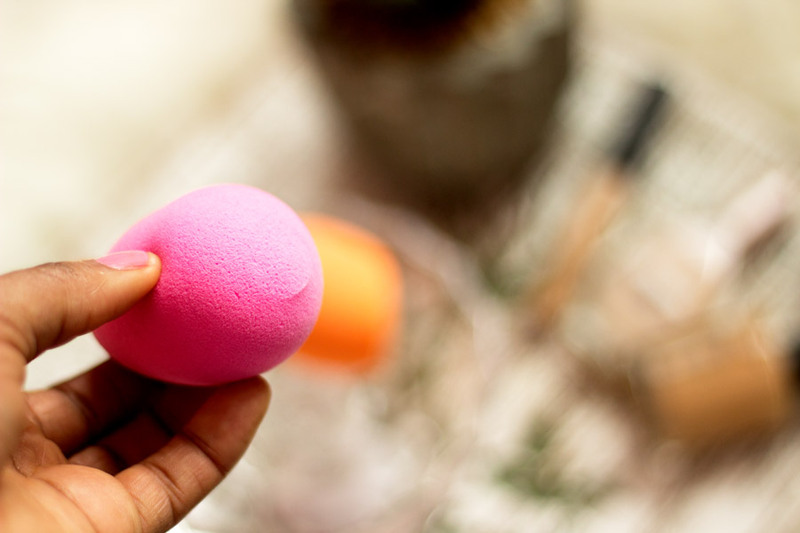 I absolutely enjoy washing it and it also dries fast but a little slower than the Beauty Blender. It retails for £16 which is really pricey so I suggest you keep an eye out for when Beauty Boxes like Birch Box offer this to their customers or have codes. It retails for £5.99 which is so affordable given the quality. 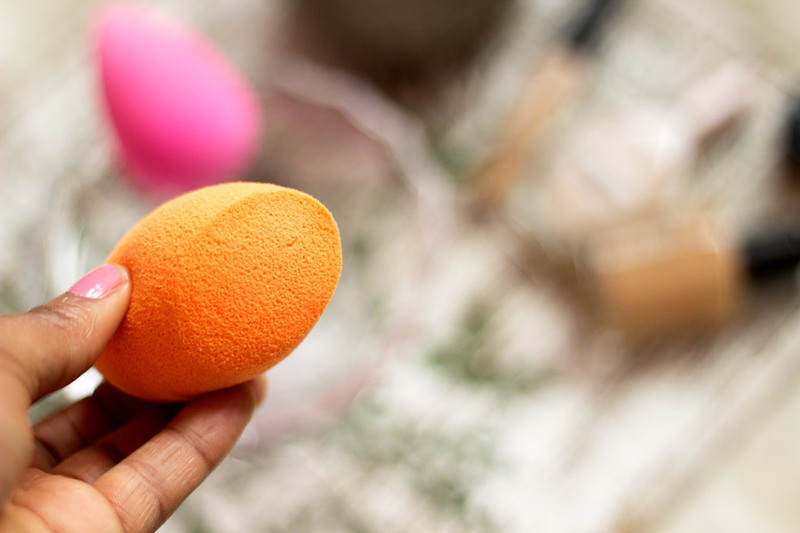 If you are on a budget, this is your best bet to a good blending sponge and dupe for the Beauty Blender. 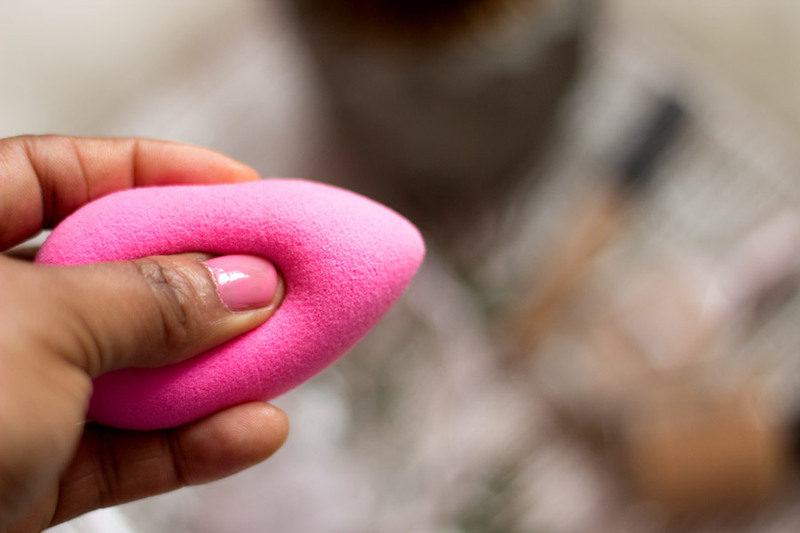 If you are after a really natural look with less coverage from your foundation and good blending, then the RT Miracle Sponge is your guy.